Get your newest Reading ahead of the crowd! Pre-order “The Origins of Totalitarianism,” featuring philosopher and political theorist Hannah Arendt’s seminal work and an original Introduction by national security expert William Inboden. Pre-order Readings by April 15th for 15% off special. 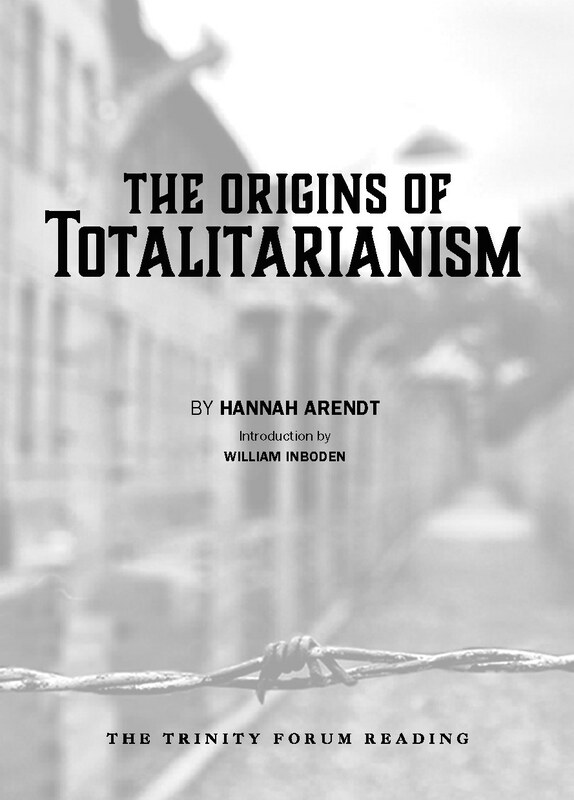 Order our newest Reading featuring philosopher and political theorist Hannah Arendt’s seminal work The Origins of Totalitarianism. 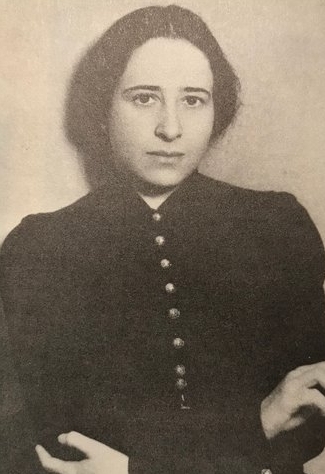 Arendt’s struggle to identity and analyze the causes of and catalysts to totalitarianism arose from her struggle to make sense of her time, in which the rise of Nazism and reign of Stalinism left so many millions dead and a world destroyed. But her insights have unsettling relevance for our times as well, as the increasing societal atomization, isolation, and confusion we face are not unlike some of the conditions that made tyranny possible a few generations ago. With a thoughtful introduction by historian and national security expert and Trinity Forum Senior Fellow William Inboden, this Reading will, we believe, fascinate and provoke the thoughtful reader into reflection on the dangers of isolation and loneliness, the necessity of community, and the dark imperative behind utopianism.